Make USB bootable system with "dddi.bat". However, extract dir/files from UsbBootWatcher.zip to the same directory as "dddi.bat". Then the Usb Boot Watcher will be Inactive-Installed to the destination partition automatically with "dddi.bat". And imagex.exe or the Windows Automated Installation Kit (AIK) "WAIK" may be required, only when working WindowsPE on HDD. WARNING: All the data in the partition will be lost. Perform the proper one of the following items. - Restore the backup of the target system to the destination partition with Paragon Backup & Recovery etc. - Copy the image of the target system to the destination partition with MiniTool Partition Wizard etc. - Copy or extract the dir/files in the target system to the destination partition with FastCopy, 7-Zip or imagex.exe etc. See also each "Case #n" shown below for more informations. Note that the systems in the source and destination partitions must be for the same platform (processor architecture). DisInstall it from the source partition and Inactive-Install it to the destination partition with "dddi.bat". Then the target system in the destination partition on the USB HDD/SSD/Memory will have become bootable. Apply it to the following "Case #n" as needed. Extract the SOURCES\BOOT.WIM in the ISO file of a WindowsPE system to a working directory as needed with 7-Zip etc. Extract the dir/files in the SOURCES\BOOT.WIM to the destination partition with 7-Zip or imagex.exe etc. And make a USB bootable system on the destination partition with "dddi.bat". For example, apply it to AOMEI Partition Assistant or AOMEI Backupper etc. However, FastCopy, 7-Zip and imagex.exe can not be recommended as backup tools for Windows systems yet. Because some file attributes etc. are not restored with the current version of the above tools. Restore the backup of a Windows system to the destination partition with Paragon Backup & Recovery etc. Change the volume label of the destination partition with Paragon Backup & Recovery etc. Make a USB bootable system on the destination partition with "dddi.bat". Reboot the machine from the destination partition. After rebooting Windows, check the drive letter for each partition with Computer Management - Disk Management. And assign some drive letter for each partition as needed. The above is the most recommended method for Windows systems on the device with multiple partitions. However, the above method can not be recommended for the systems on the removable device like USB Memory. Because Paragon Backup & Recovery may hang up when starting to restore the backup. Additionally, the source partition to DisInstall is the self source. Similar to the above Case #2. But the source partition to DisInstall is a cross source. Check the fields of MBR/EPBR and PBR-BPB/EBPB before modification. Copy the image of a Windows system to the destination partition with MiniTool Partition Wizard etc. Check the fields of MBR/EPBR and PBR-BPB/EBPB after modification. 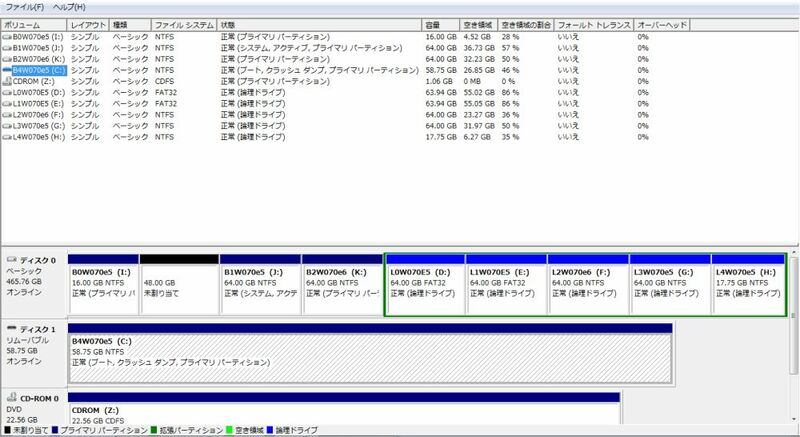 Check the partitions after modification. 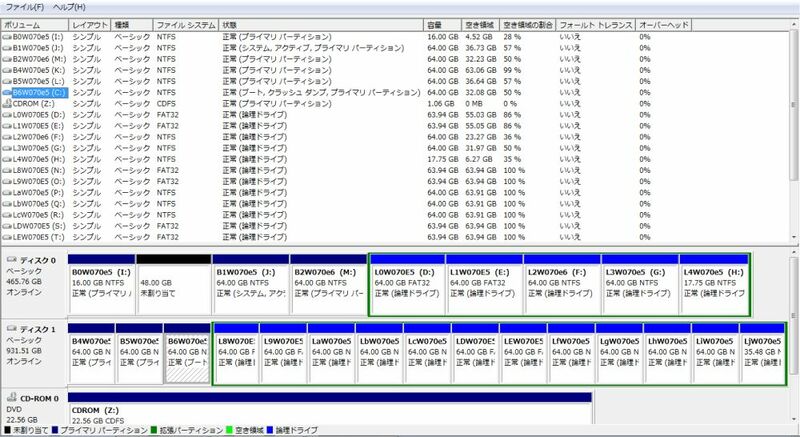 However, the above method can not be recommended for the systems on the device with multiple partitions. - Some special additional steps may be required before copying the image and/or after copying the image. - It is difficult to adjust the parameters of the Copy function to the specified optimal values. - Some strange values may have been set to the Notable fields of MBR/EPBR and PBR-BPB/EBPB.